Playboard for at home at the table with the family. 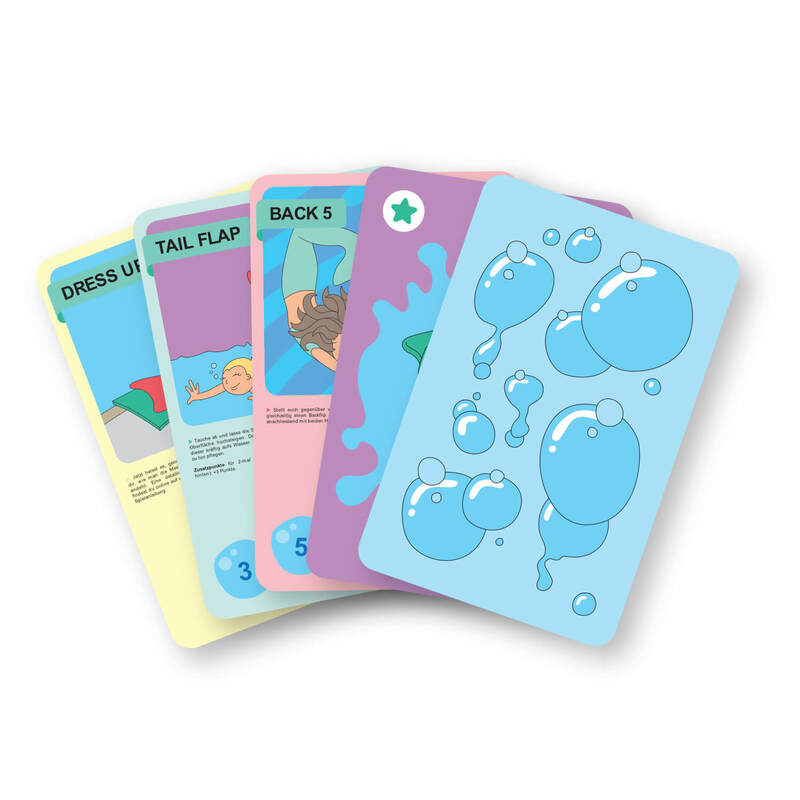 Trick cards for playing at home or on the water. Play coin to play at the table with the family. 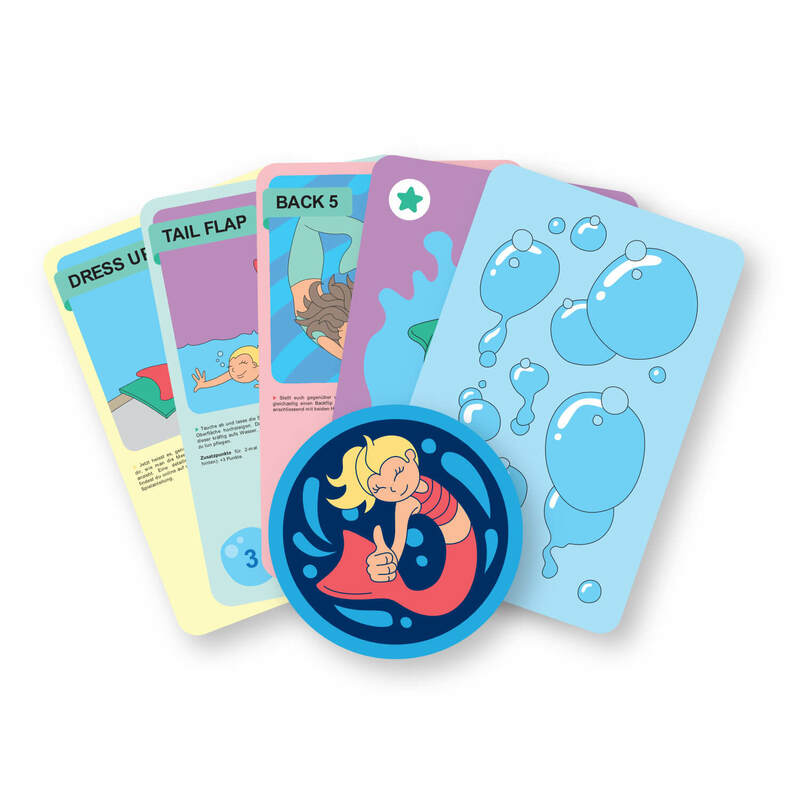 The mermaids trick cards were developed as a game for in the water or for at home at the table with the family. The cards and the packaging are water resistant! Our goal is to develop more trick cards over time, from which an individual game deck can be put together. 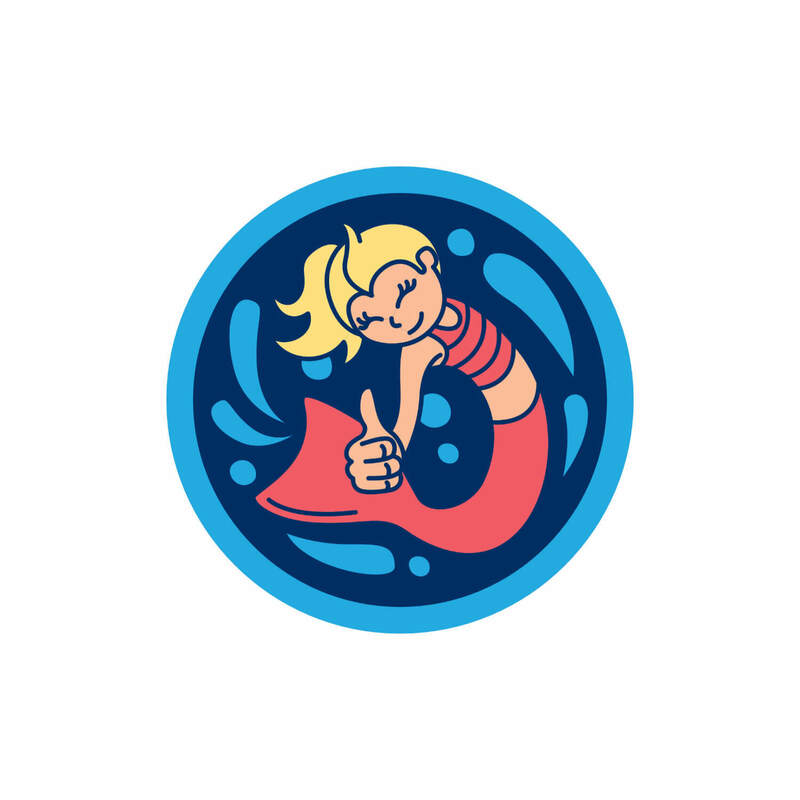 More cards will appear as Mermaids Booster-Pack. 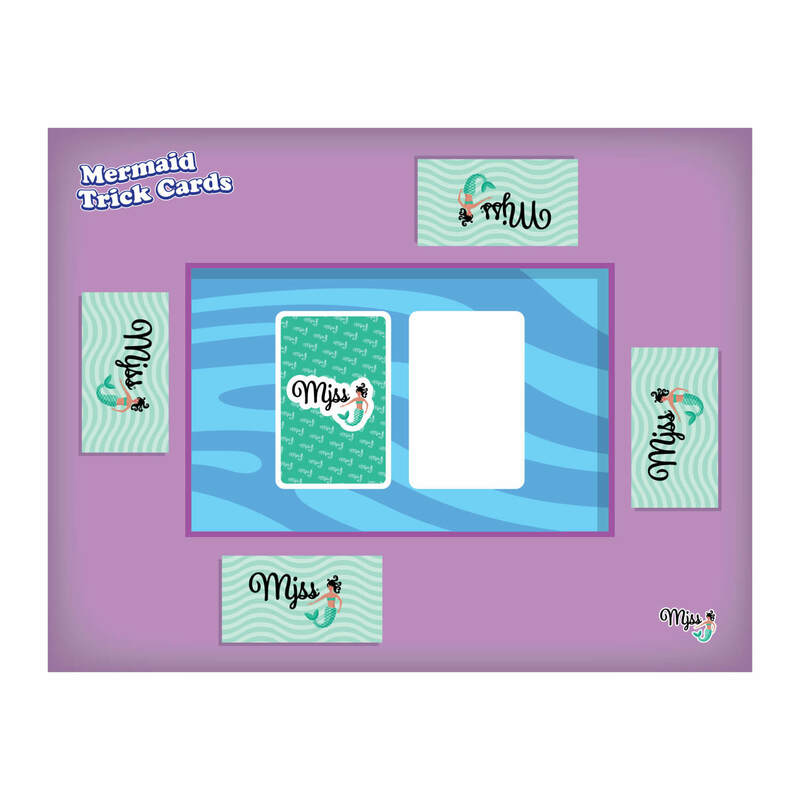 The trick cards are also a tool to plan and carry out mermaids swimming lessons. There are cards for tricks, poses and games. Tricks are to be understood as single exercises, which can be arranged individually for courses or lessons. Play without recording: Play a trick from the existing deck in your hand. Record and play: Pick up a card and then play a trick. If no trick can be played, it's the next player's turn. Swap: Place a card on the discard pile and take a new one from the draw pile. It's the next player's turn.